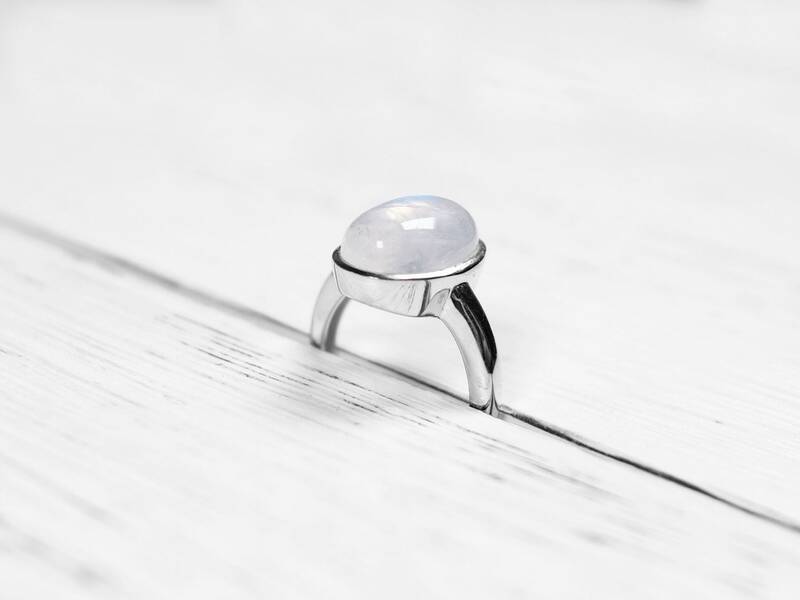 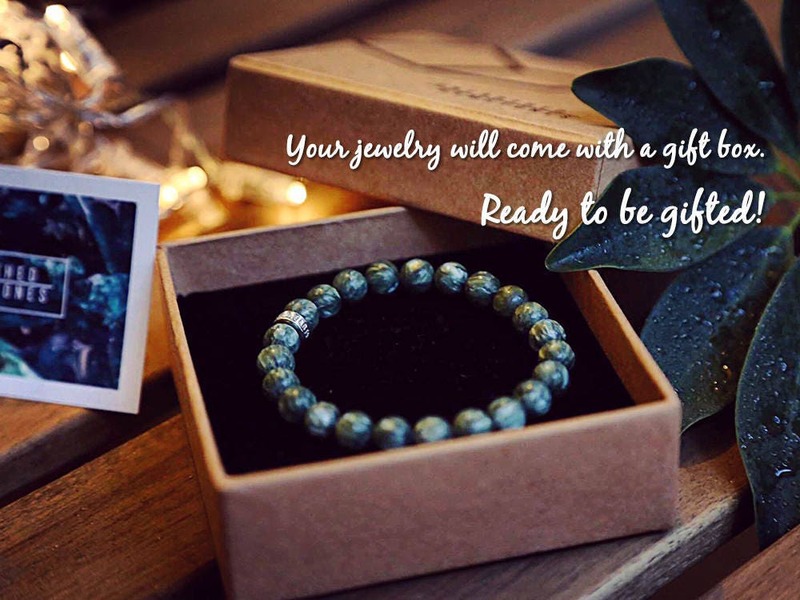 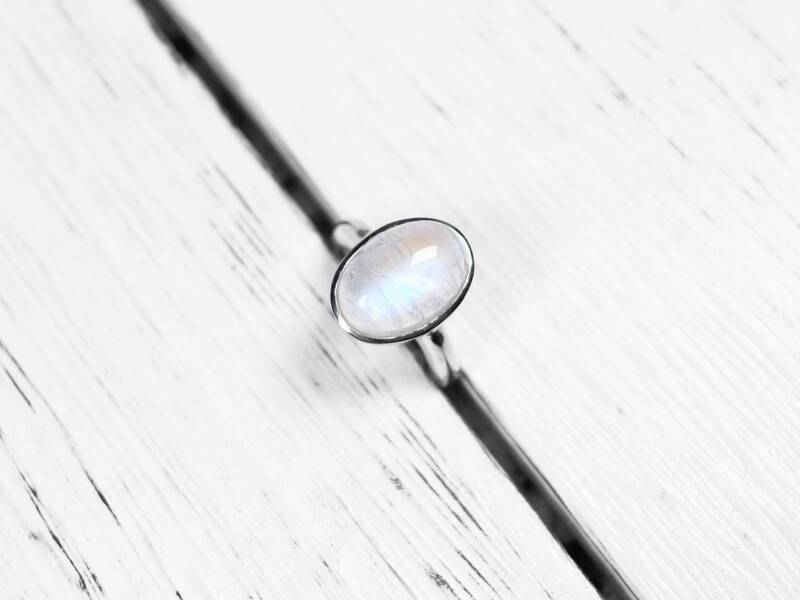 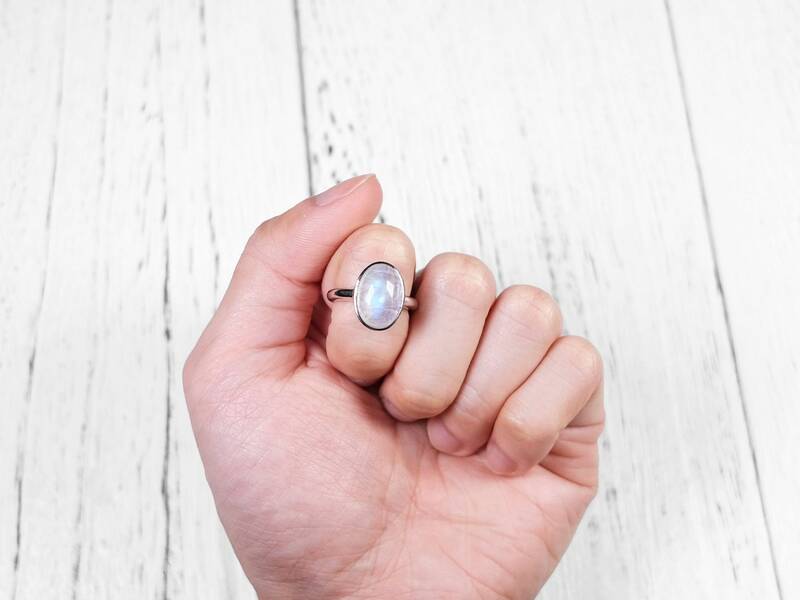 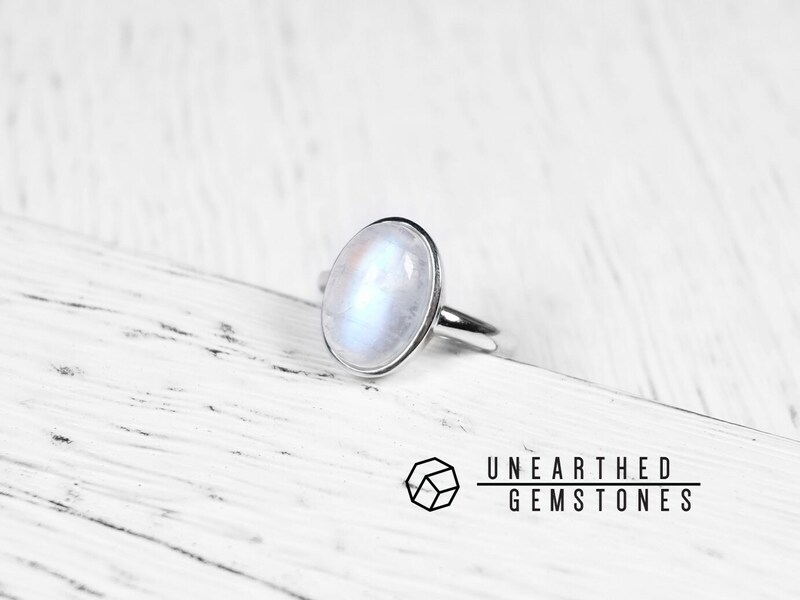 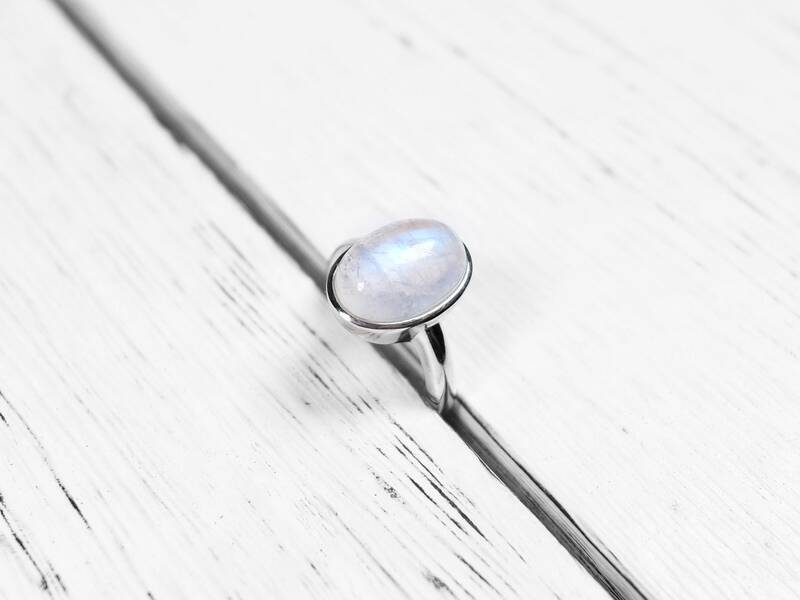 This ring uses natural and genuine rainbow moonstone. 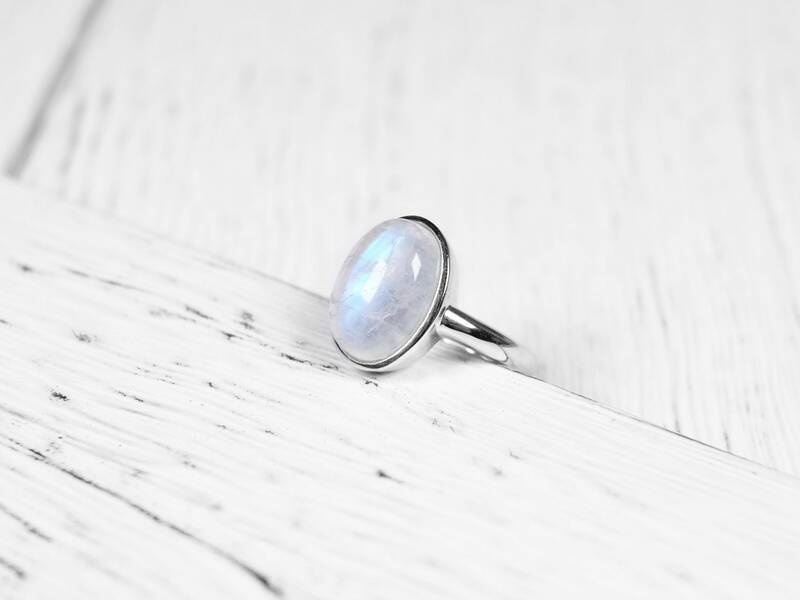 The moonstone has a great flash in the middle. 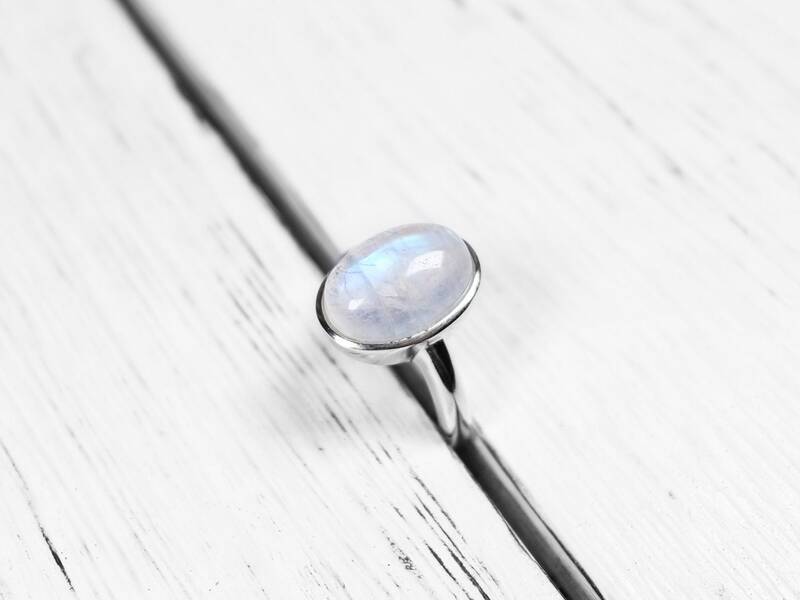 The oval-cut moonstone is set in this sterling silver ring setting. 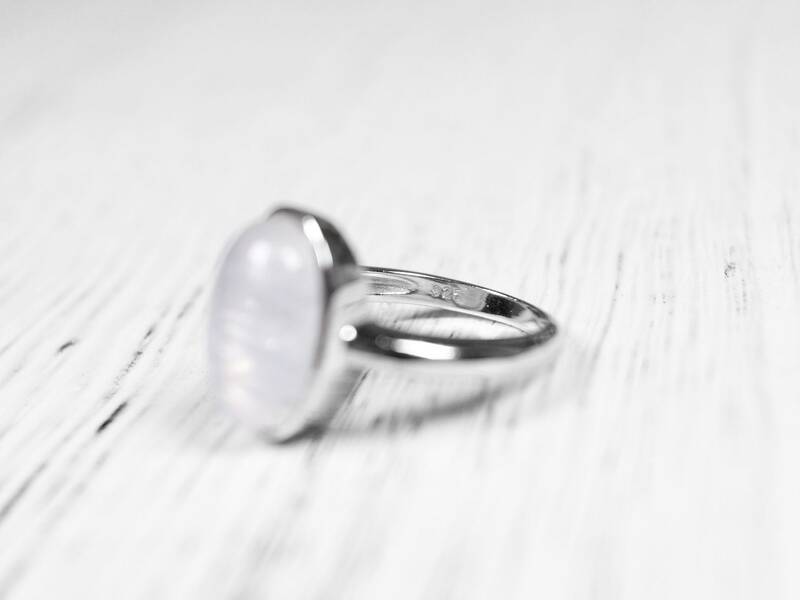 The ring size is US size 6.